The 100G QSFP28 transceiver remains a popular choice for intra-rack and data centre use and therefore is an important part of Smartoptics’ portfolio of compatible optical transceivers. Now Smartoptics has added four new models to its QSFP28 product range. The SO-QSFP28-LR4-10L and SO-QSFP28-LR4-2L are direct-modulated laser (DML) diodes for 10km and 2km applications. The DML provides a cost-effective alternative to standard LR modules based on electroabsorption modulated lasers (EML), which are better suited to Ethernet-only traffic. The SO-QSFP28-SWDM4 uses shortwave wavelength division multiplexing to couple four lanes of optical data onto multimode fibre, as described in the SWDM4 standard. 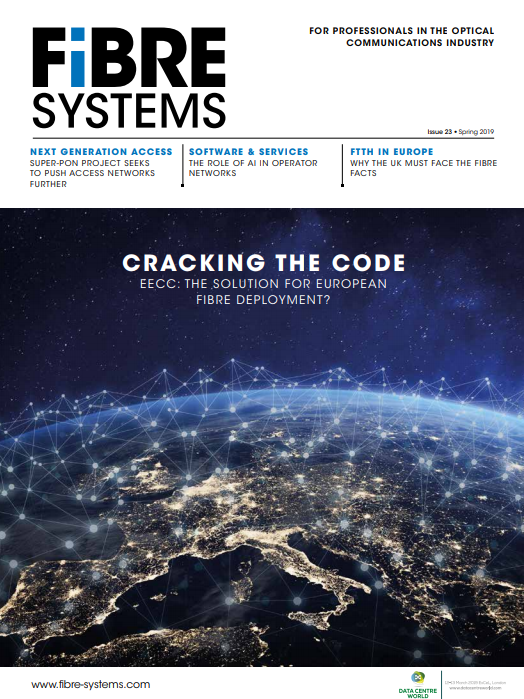 This enables data centre operators to increase the 100G connectivity distances from 100m to 300m over multimode fibre infrastructure. Last but not least, the SO-QSFP28-ER4 transceiver enables single channel connectivity up to 25km over standard singlemode fibre, to enable data centre interconnection. Smartoptics’ transceivers are compliant with all the latest Fibre Channel and Ethernet standards at data rates up to 100G, and interoperability with major switch brands is guaranteed, the company claims. Customers can easily reprogram Smartoptics’ QSFP28 receivers for other applications. What’s more, Smartoptics says it has improved its production and logistics processes, which translates into shorter time to fill customer orders.